Both up front and out back, it seems as if the Audi Q7 will soon get some design cues from the new Audi A6. At the front, its grille gets larger grates and its headlights look plucked right from the new A6. Beneath the headligths, new front air intakes and a new lower front fascia round out the face of the car and will likely look a bit better than the current, pre-facelift car’s. Out back, the new taillights are the big news. 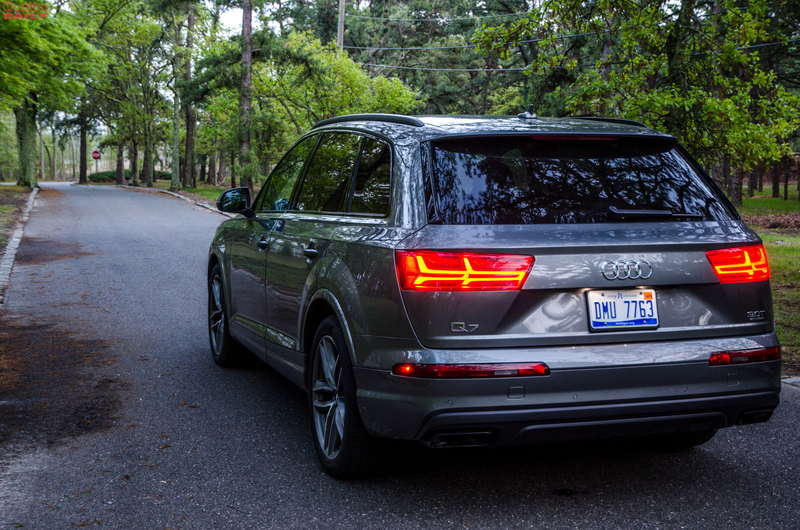 Rather than the big rectangular taillights of the current Q7, the new one will have taillight styling also borrowed from the A6. So the design inside the actual taillight housing will feature a bunch of little slated, vertical slashes, which will likely pulse and blink like they do on the A6. The entire tailgate seems a bit different as well. We’re happy to see that it’s going to actually get a surprisingly comprehensive facelift, rather than just some new bulbs in the headlights and some new trim pieces. It’s actually getting a new face and rump. In fact, we think the new Audi Q7 facelift will look quite good and it’s a bit overdue. The current Q7 still looks handsome but newer competitors are starting to come out and it’s beginning to look a bit dated. For instance, the new BMW X5 just debuted and so too did the Mercedes-Benz GLE-Class. So the Q7 facelift needs to launch soon and it likely will late next year as a 2020 model year.